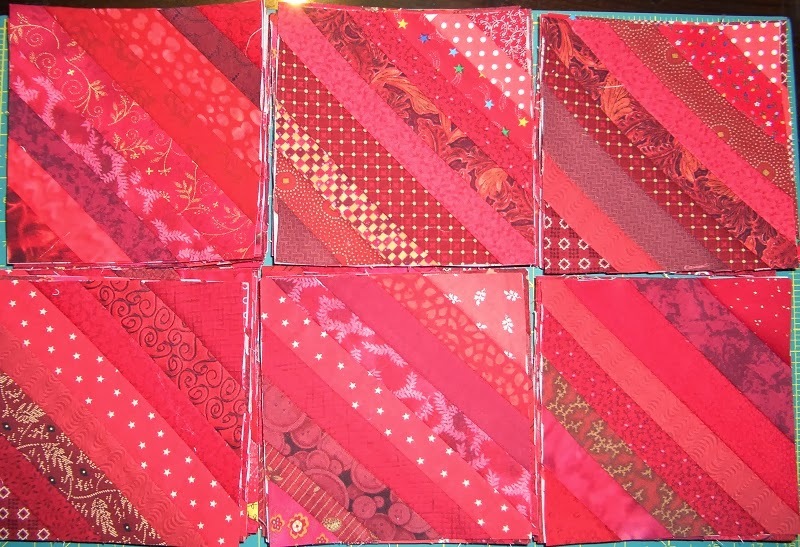 Kerry's Quilting: Design Wall this week. 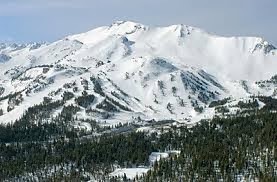 This week I have been on vacation in Mammoth Lakes, getting in some skiing and a little sewing along the way. When we arrived there was almost no snow on the ground and the skiing was not all that great, and, only a few of the lifts and runs were open. Fast forward to yesterday, and we now have almost 14 inches of new snow!!! Today we were skiing on powder and tomorrow will be even better with most of the mountain open and some grooming on some of the runs. On to Sewing. 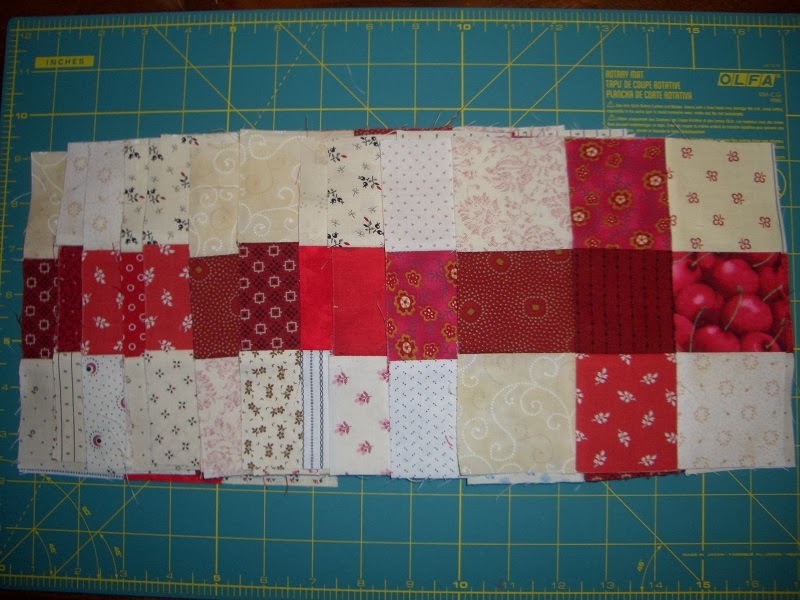 This week on my temporary design wall, I worked on the Red String Blocks and Nine Patches that are part of a Swap. Sandi over at Kwiltnkats organized the swap and the blocks were due on Jan 27- I am only a little late and plan to get to her as soon as I return. Above is my Janome that I always take with me on vacation. I try to get a little sewing time in here and there. 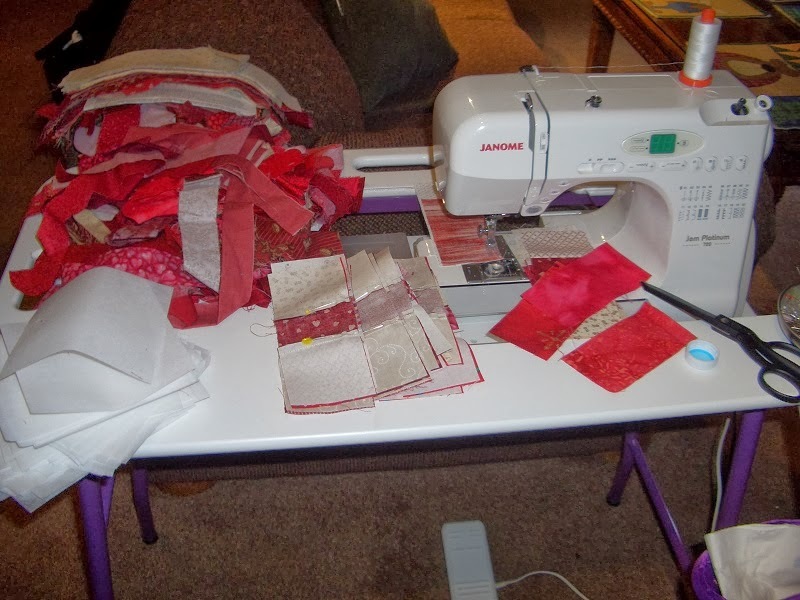 You can see some of the nine patches that I was working on and a big pile of red strings. Below are the finished blocks! Have them all packed and ready to give to Sandi as soon as I get home! Tomorrow will be the first UFO Parade over at 52 Quilts. Aunt Marti will also announce our UFO for February. Be sure to check it out! It is great to see what everyone was able to finish for the month.